Deciding to quit smoking is the single best thing that you can do for your health. Congratulations! You are on the road to a healthier, happier you. Like any bad habit quitting smoking is not easy. Nicotine is a highly addictive drug and your brain and body crave it. You also associate smoking with daily rituals known as trigger factors, which is why it can be so hard to break the cycle of smoking. The good news is that there are many products, both over the counter (OTC) and on prescription available in your pharmacy that can help you on the road to a smoke free life. Your Pharmacist or Doctor can help to advise you on what products are best suited to you, depending on how you smoke and how many cigarettes that you smoke. They can also provide you with general advice on how to keep that willpower going! List your trigger factors and try to avoid or change those situations for at least the first month of quitting. This will increase your chances of success. Accept that it is extremely hard to quit and take each day at a time. I often tell my patients to not tell themselves that they will never smoke again but rather to tell themselves that they will not smoke today. This will help you not to panic at the thought of never having another cigarette. It is after all a habit that you enjoy, so the thought of never smoking again can be enough to make you fall off the wagon! Reward yourself when you take a positive step forward, such as being cigarette free for a day, a week, two weeks. But do not punish yourself for slipping up. Just get back on the wagon. Declare your intentions to family and friends so that they can help to support you. Also clearing ashtrays from your home, washing clothes that smell of cigarettes and cleaning the car can help to remove reminders of smoking from your immediate environment. Prepare healthy snacks. Oranges are particularly good in this instance as peeling them keeps your hands busy and the strong flavour will help to distract from the cravings. After 20 mins: Your heart rate returns to normal. After 8 hours: Oxygen levels return to normal. After 48 hours: Your body is cleared of carbon monoxide. Lungs begin to rid themselves of mucus and other debris. Smell and taste improves. 2-12 weeks: Circulation and breathing improves. Walking is easier and skin is more radiant. >12 weeks: Lung function increases by up to 10%. Coughs, wheezing and breathing problems reduce. After 1 year: Risk of heart disease is halved compared to someone who is still smoking. After 10 years: Your chance of getting lung cancer is half of that of a current smoker. After 15 years: Your risk of a heart attack or stroke is the same as that of someone who has never smoked. Good luck and remember that your Pharmacist is always here to help in any way that they can! My name is Naomi O’Farrell and I’m the Health Strategy Manager at LloydsPharmacy Ireland. In December 2013, I was still a smoker. And worse still, I was a smoker who was about to launch a Smoking Control service for our customers. The irony continued to be lost on me as I finalised the last aspect of our campaign by reaching out to our smoking colleagues in the pharmacies, asking them to consider quitting and to write a blog for us about their experience. When I was asked to write an account of how things are now, a year after quitting, I tried to think about the differences I’ve noticed. To be honest, it just seems normal now. There are times when I would love a cigarette, I won’t lie – mostly when something very stressful happens. You can’t always go out for a run when tensions are high! So I’ve tried to think of other ways to calm down and it’s usually just a few deep breaths. But overall, you actually just get used to it. That said, being a non-smoker facilitates you being fitter, obviously. Initially, to tackle some weight gain I experienced just after quitting, I started the C25K running programme in May 2014. This was a really big deal for me – I had never run, or exercised much at all for that matter, because smoking makes that difficult. 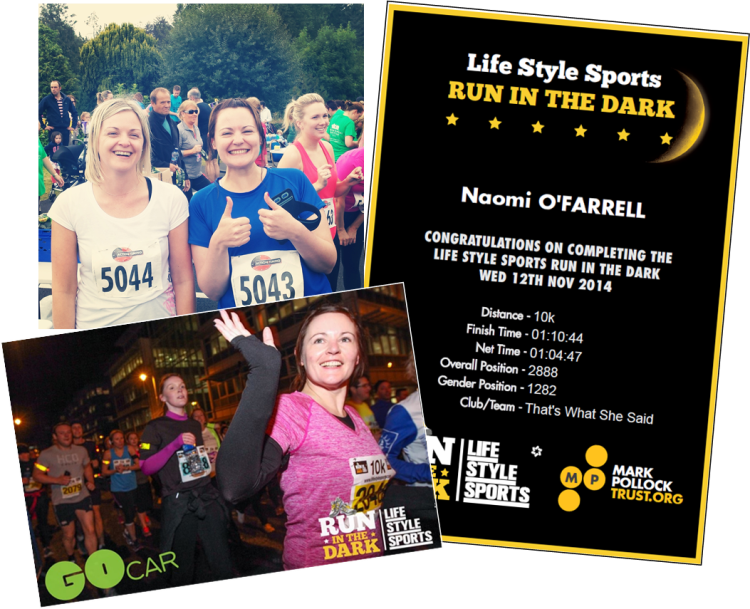 My proudest achievement in 2014 wasn’t actually quitting smoking; it was running two races, 5K in September and 10K in November and finishing both! I am aiming for another 10K in April and have also started swimming. And I’ve become a much healthier cook. I’m currently in the midst of our Change Your Health Direction weight-loss programme, trying to get to optimal BMI. But this all feels like so much less effort than it would have done a few years ago, honestly. This all sounds too wholesome to be true, right? I promise I’m not making it up! I guess I was consciously trying to keep the momentum going after quitting, keeping my focus positive and healthy, so I carried it through to food and fitness. Smoking was very much a way to keep calm for me, a tool to keep mentally healthy (or so I thought at least). My substitute turned out to be exercise and healthy eating. It’s no secret that quitting smoking is the single most significant improvement you can make to your health and that once you reach the point where you start to look and feel infinitely healthier, you’ll never look back. However, the most positive aspect of this whole experience for me has been sharing the journey with my fellow blogging quitters. This to me is what it means to inspire more positive lives – sharing your experience, your knowledge and your expertise with others in order to provide the necessary support for them to reach their goals, whatever they are. This is what we do in our pharmacies every single day. You cannot give up smoking without support. Our bloggers talked about it time and time again; your family and friends must be behind you for you to succeed. Too many slip-ups occurred on a night out when someone offered a cigarette to one of our quitters. Throughout the past 12 months, I have been blessed with consistent encouragement and support from colleagues and friends, without which I would not have succeeded. And what’s more, some of my colleagues and friends have since chosen to follow our lead and also quit smoking. Talk about inspiring positivity! I know my friends and family are very proud of me and I thank them for their support. If you are considering taking the plunge and quitting the habit, there is no better time than right now. If the time is right for you, luck and willpower alone won’t do it for you – you need to work hard at staying positive, keep picturing the end game, stay focused on your goals and, I cannot stress this enough, let those around you help, not impede, your progress. But don’t just take my word for it – check out what my amazing co-quitters went through by checking out our Quitters’ Blog. We hope that it inspires some of you to make the most positive decision you can for your health. I certainly couldn’t have done it without them. It’s the 3rd week of Lent! And welcome back to our Smoking Control Quitters’ Blog. And guess what happened by accident?! I thought it was more than enough for me to have quit smoking and so didn’t give up anything else for Lent. And I’ve just realised I haven’t actually eaten any chocolate (I’m almost sure anyway) since Ash Wednesday. So go me! Well one my way to optimal health and well-being. 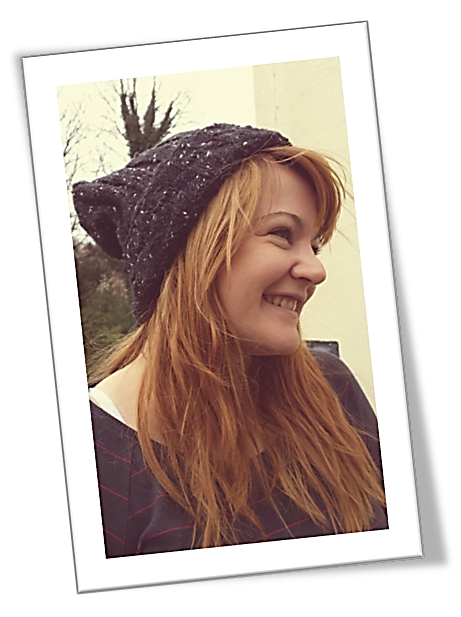 Today’s picture is me with a hat. Sadly, it’s not my hat as I’m pretty fond of it now. Knitting really has been a great help. You have to think about it while you’re doing it and you need both hands. Previous evening-time activities were easily done while smoking; watching TV, surfing the internet, chatting on the phone. I’m addicted now and am taking orders from friends and family. My point here is (apart from promoting my new craft business!) that you really do need to think of something else to do. It sounds obvious but it’s so important. Break the habits and change your routine so that the activities and times you associate with smoking become associated with something else. Anyone out there trying to give up the cigarettes, hang in there, believe me it will get better. I was there myself and it will be worth it. The ‘freedom’, as I called it at the time, was like I was released from something. The best advice I would give is to do something with the money that you would normally spend on cigarettes, that is if you could afford to smoke in the first place. I got myself a loan and I knew then that the money was spoken for. I got my first car and paid back the loan within a year, I was so proud of that little Micra. Apart from my car and back to the more serious side, my health was my main reason for giving them up. I got bronchitis every year and I have never had it since I gave them up. All the other little things like tasting my food again, my house smelling good and having loads of energy were a bonus. So if you’re trying to kick the habit at the moment, keep going and set yourself a goal, maybe a nice holiday or a spa weekend when you have reached your 3 or 6 month goal. We’ll be back next week with an update from one of our favourite bloggers and amazing pharmacy managers, Lyndsey, to see how she’s been getting on since we heard from her last. Here we go again!! Today’s picture features me with my greatest temptation – the booze. It’s the weekend and that means a drink or two (I really need to consider staying in a bit more!) and a drink or two usually means Naomi gasping for a cigarette. This is my fourth weekend as a non-smoker and here’s hoping I eventually start forgetting cigarettes, or indeed stop dreading the thoughts of visiting the pub quite so much. Tonight, I’ve a date with my boyfriend who is also in the midst of quitting. There’ll be no one else there to distract us, no other quitters or non-smokers about to act as our conscience. This will be a real test for us both. If any of you sees me about the capital tonight, please do feel free to give me a nod of encouragement or a friendly high-five! Before we hear from the lovely Lyndsey again, something I read today shocked me. 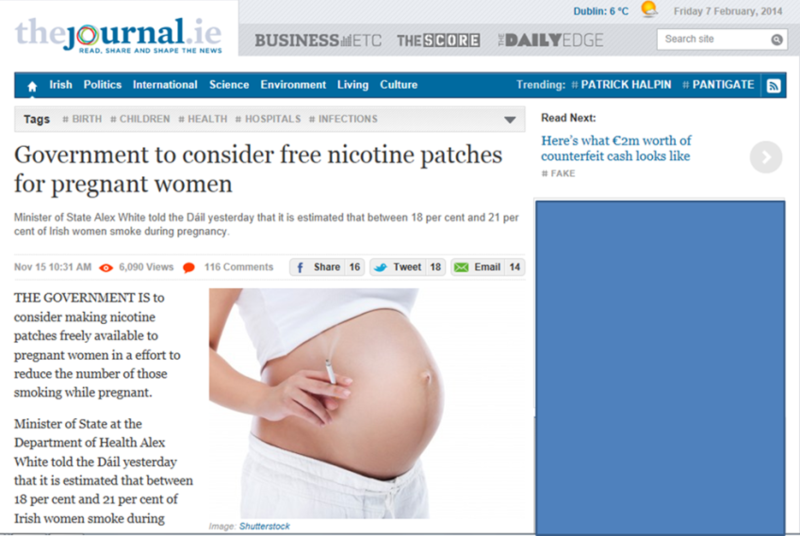 See below a link to an article about smoking trends amongst pregnant women in Ireland. Before now, I always thought that if I ever got pregnant, that would be the one thing that would make me give up immediately and permanently. I think most smokers would be of the same opinion. Shockingly though, Ireland has a higher rate of smoking during pregnancy than the US, with between 18 and 21 per cent of women unable (or opting not) to quit the habit while carrying a baby. I spoke in an earlier blog about finding your motivation… I can’t think of one more compelling! Indeed our own Lyndsey is doing her best to become a non-smoker before she thinks about having more children. Reading this got me thinking about how lucky I’ve been in that this quitting has been a mostly positive experience for me. It hasn’t been that difficult, once I had made the decision to go through with it. But it must be so much more difficult for others, particularly those women who do not give up during pregnancy. This just emphasises the importance of SUPPORT, MOTIVATION and MEDICATION. You have to make it easier on yourself. If you’re finding it difficult, please ask about Smoking Control in your local LloydsPharmacy, or a similar service in another pharmacy, or indeed check out www.quit.ie for online support. Your family will thank you. So still smoke-free and really enjoying it. I’m not going to say ‘loving it’ as I am still missing them. However I keep telling myself I’m only one drag to being back at the very start. (I’m not going there again). Okay so I’m not a big drinker and I don’t go out weekends so I don’t have that temptation to smoke with drink or anything like that. But my temptation is definitely put to the test when I’m in my car and by God did it reach its peak this week…….. The weather the last couple of days has been pants. Which means an EXTRA early start for me to try beat the traffic. So I’m driving to work in the mental weather, having a fight with the steering wheel cos of the wind and the window wipers are on full with the rain. Next I just see break lights on the motorway. Yep just as I dreaded, I hit traffic. So I’m grand for the first couple of minutes just listening away to the radio. I look out the window to the car beside me and there was a man having a smoke out his window. Now all I can think about is….. I’d LOVE a smoke right now, like I’d REALLY love a smoke right now. I’m nearly willing for a pop-up garage to appear on the motorway, just so I could buy a pack and end this horrible feeling of temptation. Do you really want to quit? What are you going to do to make it easier to do so? How will your life/the life of your family be better if you’re successful? What will you do instead of smoking? There is no point embarking on this unless you have good answers for these questions and sturdy plans in place. Here’s hoping my own plans last the weekend! Hi again everyone. Naomi here, still smoke-free and still having to concentrate very hard on staying smoke-free. It’s getting easier to deal with the cravings but I tell you what, it’s hard to keep the focus. 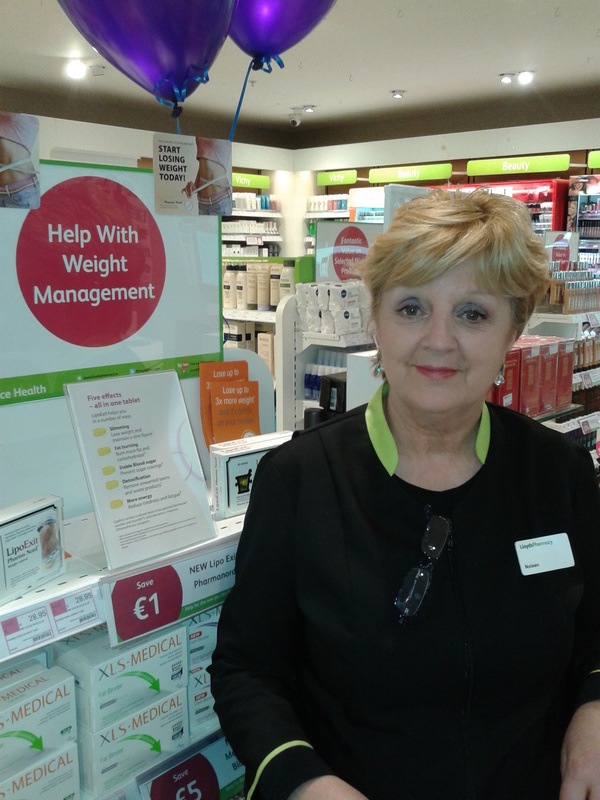 I heard an amazing story last week from one of my colleagues in LloydsPharmacy The Mill, Clondalkin. 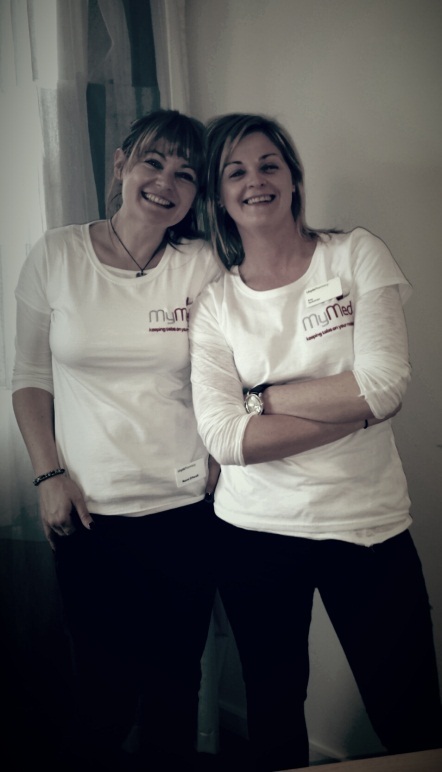 Noeleen is blogging away over on the Weight Loss Blog (have a read of it, it’s really great!). She gave up smoking 14 years ago and she had a very clever way of keeping her focus. Noeleen was saving hundreds of euro each month so she decided to treat herself to her first every new car. The money she was saving from smoking became her loan repayment – this meant she just couldn’t afford to smoke, even if she wanted to. And she had that loan cleared in a year! I thought this was so inspiring. 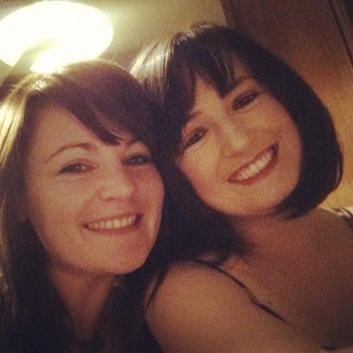 Blog 4 – I don’t want trouble! So here I am settling into my weekly blog routine, much the same way as I’ve settled into a routine of not smoking. I’m continuing to use the patches and have found that I never even think about smoking for most of the week. The only time that I get them on my mind, and immediately fold, is during the weekends when socialising. This weekend though, for the first time since I quit, went very well and was definitely the most successful to date. A social event on one of the nights went fine as I was not drinking and didn’t know any of the smokers so had no reason to sneak outside for one. On top of this I genuinely didn’t feel a desire for one. 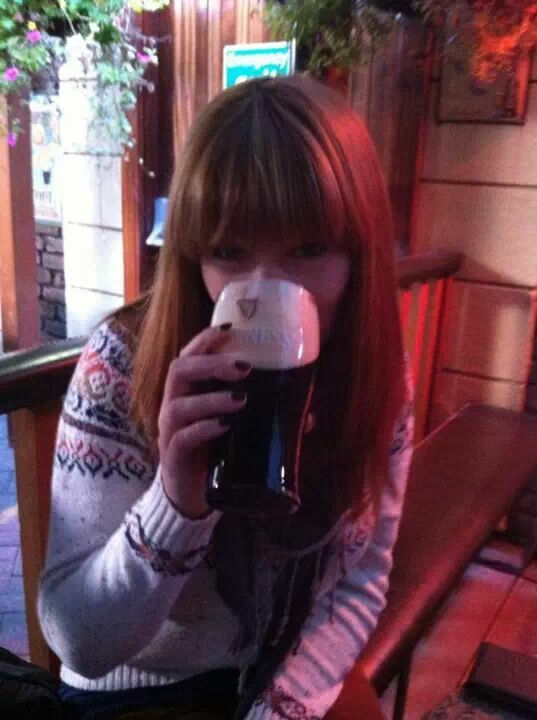 On another occasion I was in the pub and having my first pint since December. This used to be an unmanageable temptation when I tried to quit previously. I always had the impression that you have the most craic outside the pub and there was normally a partner in crime to head outside with. This time around though, I didn’t cave in. I was happy to sit in, and chat away to the people with me and never even considered heading for the door. When I think about how I managed to get through the weekend a few things come to mind. No one else was smoking – they must be a dying breed – so I never even thought about it. For me having a support network of non-smokers is really helpful. All the bad weather makes it miserable to be anywhere close to the wind and rain so this has also encouraged me to stay out of trouble. Well done on your first smoke-free weekend David! Once again in David’s update, we can see how important a support network is in quitting. For me, I’m almost afraid to let my friends down, never mind my boss! (We can’t have a failed quitter writing this blog!) What’s going to keep us all going? Keep the feedback coming. We’re back on Saturday to check up on Lyndsey’s progress. Hi again everyone. Naomi here with our first update of Week 4. I’m delighted to be reporting yet another smoke-free weekend for me, despite two social events. Someone give me a star! One night over the weekend was particularly tough. I was at a birthday party with a lot of social smokers and I was more tempted than ever to go out and join them. 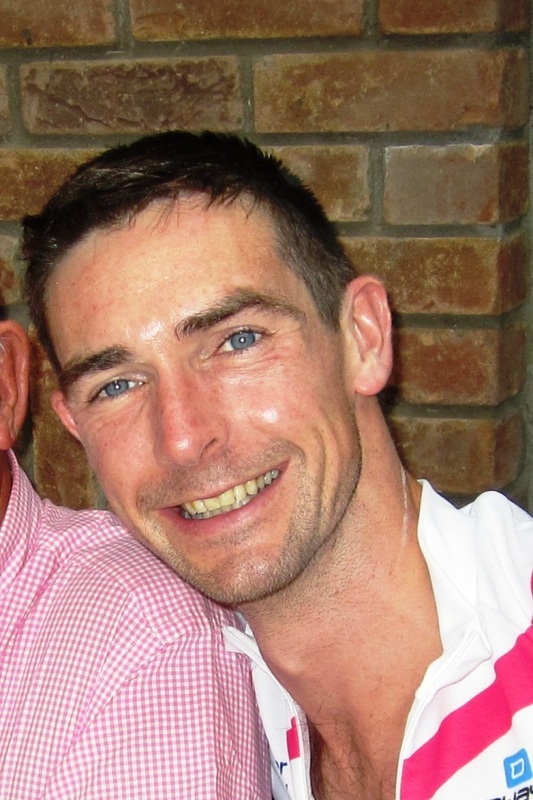 What stopped me wasn’t actually my amazing will power (I know! ), but the smell… My sense of smell really has improved so much. And the wave of smoke that entered the room each time the patio door opened was astounding, not to mention a little bit sickening. I just can’t believe I used to smell so bad. I really don’t know how my non-smoker friends stuck it. No smell from my Nicorette inhaler! Speaking of my non-smoker friends, I spoke at the beginning of the blog about how they and my family were my motivation in breaking the habit in the first place. I think it’s very important that you understand exactly why you want to quit, REALLY, and if you really do want it enough. We bloggers are doing well for the most part, with less and less slip-ups along the way as we progress. But in order to keep that going, we all need to want to be non-smokers for the long-haul. I’m talking to a lot of people who are self-proclaimed quitters but who still smoke when they socialise (i.e. when they drink). What is a non-smoker exactly? And do you think you can really kick a habit if you allow yourself to indulge in the habit just some of the time? I suppose it depends on your motivation, doesn’t it? If it’s your health and your family, I don’t think being a ‘social smoker’ is going to cut it. I intend working really hard to forget about cigarettes completely. I spoke about Allen Carr’s Easyway to Stop Smoking a couple of blogs ago. To be honest, I found myself being afraid to finish it. I don’t know why exactly so this week, I’m determined to get through it and let you know how I find it. With that and the knitting, there’ll be no stopping me! Well I’m still off them…3 weeks so far and it’s getting a lot easier. I think about them for a few seconds when I first wake up but they don’t cross my mind for the rest of the day/evening. The less I talk about them the easier it is! I feel much better, even though I’m on antibiotics for a chest infection! My body doesn’t seem to appreciate the fact that I have given up because I’m on inhalers and I haven’t been on one since I was a child!! Hopefully it won’t last long and I’ll be fit as a fiddle in no time!! I’m sleeping much better than I had been in the first week on the patches… no more freaky dreams! I have put on a little bit of weight but I just want to get through the stop smoking first and then I can worry about getting back in shape!! I’d rather be a fat non-smoker!! I’m saving so much money it’s scary…I can leave the house without my purse now and not worry about getting cigarettes etc. I used to go to the shop and buy smokes, drink, magazine etc. and spend a fortune every day! I’ll have my new kitchen in no time!! Hope everyone else is still off them! Fantastic news Alison, well done! 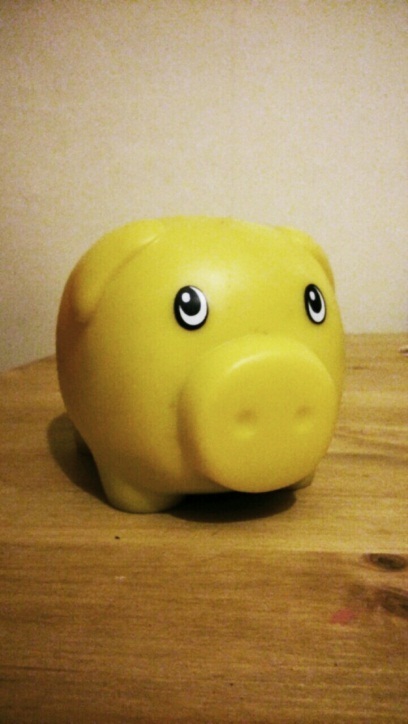 Alison was compelled by her daughter, her partner and her wallet to give up. And she obviously really wants to ensure she doesn’t let her family or herself down. A new kitchen will be more than enough reward I reckon!